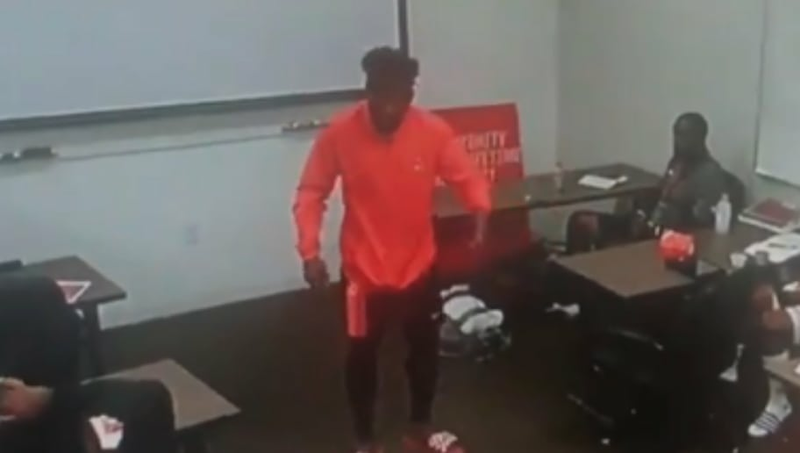 ​Do NOT tell Jarvis Landry this is just training camp. After coming over from the Miami Dolphins in a rather shocking trade, Landry is expected to be a focal point of the Browns offense. As one of the top wideouts in football, Landry's work ethic can't be questioned. He clearly wants to see that same dedication throughout the Browns roster. Landry speaks the truth in this passionate speech, showcasing the Browns' complacency in the past, and stating that this level of effort will not be tolerated in the future. In order for Cleveland to turn around the culture, they MUST buy in from the get-go. One man they won't have to convince of that fact is Landry. Jarvis can only do so much, however. This speech occurred in the receivers room, and while Landry's leadership can translate around his position group, the Browns will need more like him to take this franchise to new heights. An HBO spokesman said Browns’ WR Jarvis Landry’s speech that airs tonight “will rank in the top 5 all-time for Hard Knocks. Rex still the clubhouse leader.” So there’s that. This is obviously one of the best moments in Hard Knocks history. Hopefully for the Browns, it has a lasting impact.